Chris is a London based session drummer and percussionist. Born and raised in Luxembourg, Chris studied at the University School of Music in Luxembourg City until he moved to London to continue his studies in 2006. He has been playing drums for over 20 years and has toured and recorded with a vast variety of bands and artists. Having previously recorded 2 EP’s with Australian singer song writer Matt Corby, Chris joined his touring band full time in 2012. After 2 years of touring Australia, Europe and the UK, Matt Corby decided to take a break and Chris moved on to tour with US act The Pierces. Shortly after completing his second UK headline tour with the American folk duo, Chris was asked to take over the drum chair for UK artist Example, with whom he toured until end of 2014. 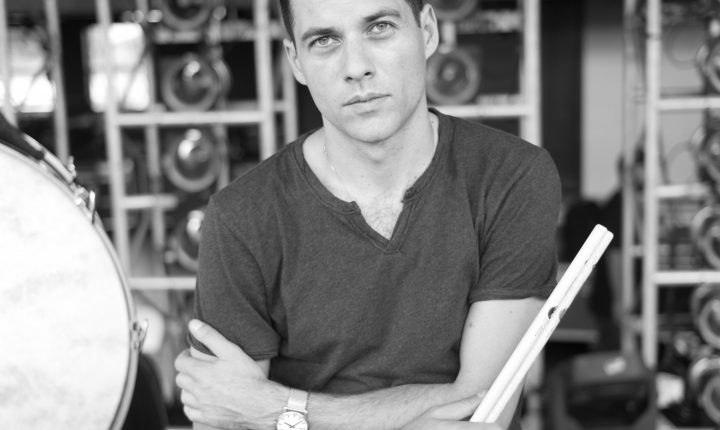 Shortly after, Chris was approached by multi-grammy award winners Mumford and Sons, to become their first ever full-time touring drummer as the band prepared to release their 4th studio album “Wilder Mind”.